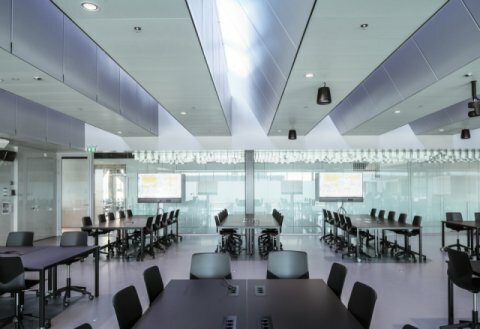 For its new accommodation in the Amsterdam Zuidas district, the new culinary vocational school Hubertus & Berkhoff chose the Bolidtop® 700 College system. 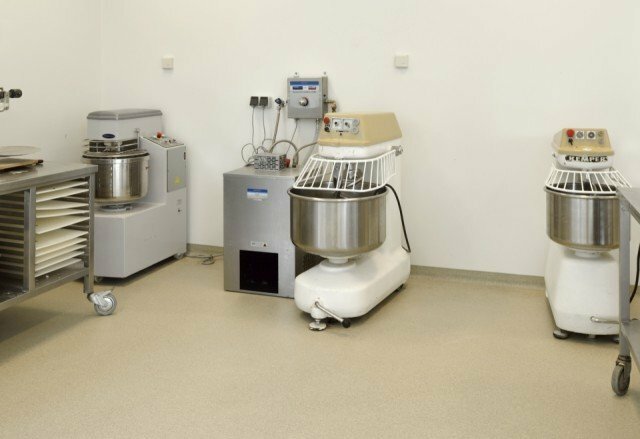 This synthetic floor finish has been specially developed for the educational sector and offers a wide range of advantages including wear resistance, hygiene, safety and very low maintenance costs. By choosing this flooring system, Hubertus & Berkhoff is guaranteed not to have to carry out any maintenance on the floor in the coming years. Learning how to cook, bake and serve in a beautiful environment. That is what Hubertus & Berkhoff offers. The new vocational school trains pupils to become hosts or hostesses, cooks, pastry cooks or bakers. The school was formed by the merger of two schools with a strong reputation in the hospitality industry: The Berkhoff and Hubertus Vocational School. Both have a rich history in catering excellence and were already highly reputed as culinary vocational schools. Starting from the school year 2015-2016, they have combined forces. 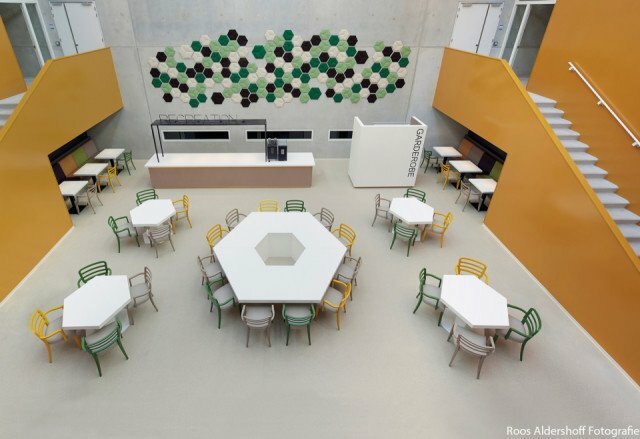 The culmination of their collaboration is an ultramodern new school building in the Zuidas district of Amsterdam. ZENBER designed the interior, in which the colours and the materials used are a representation of sweet and creamy ingredients. At the centre of the school is the spacious and clean-lined lobby with a reception desk. It connects all communal areas, such as the assembly halls for the pupils and a central winter garden. The stairway in the lobby leads to a beautiful south-facing roof terrace. Of course, the culinary vocational school’s teaching areas include a number of practical rooms, such as kitchens as well as bakery and pastry rooms. The building also houses two training restaurants, a bakery shop and a grand café where the pupils can develop their practical skills. 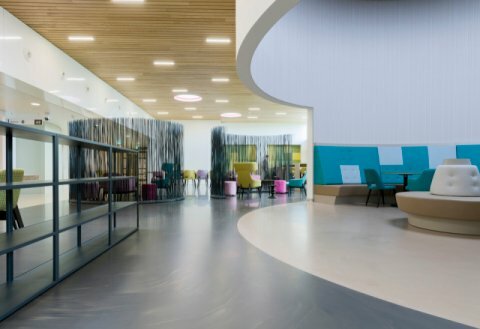 A real eye-catcher in the new school is the Bolidt floor finish, which perfectly matches the building’s modern interior. 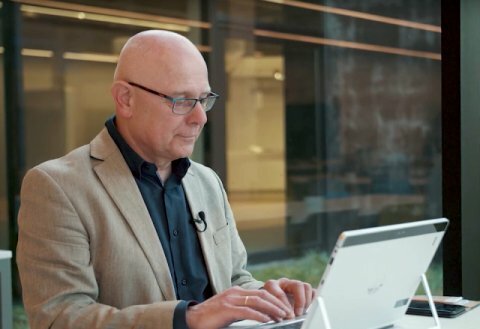 Architect Ector Hoogstad chose the Bolidtop® 700 College system because of its modern, fresh and decorative appearance, but also because of the technical properties of this flooring system. Bolidtop® 700 College has been specially developed for the educational sector. 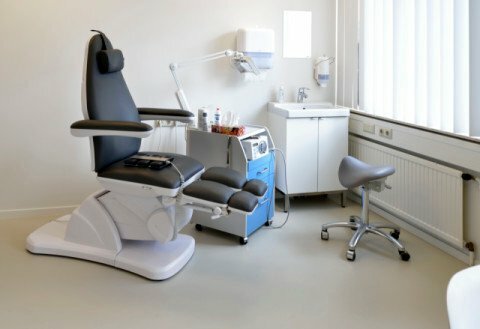 Besides good looks, the Bolidtop® 700 College has other advantages: the system is wear resistant, hygienic, safe and has very low maintenance costs. This is why this flooring system has already been installed in many primary schools, secondary schools, colleges and universities. 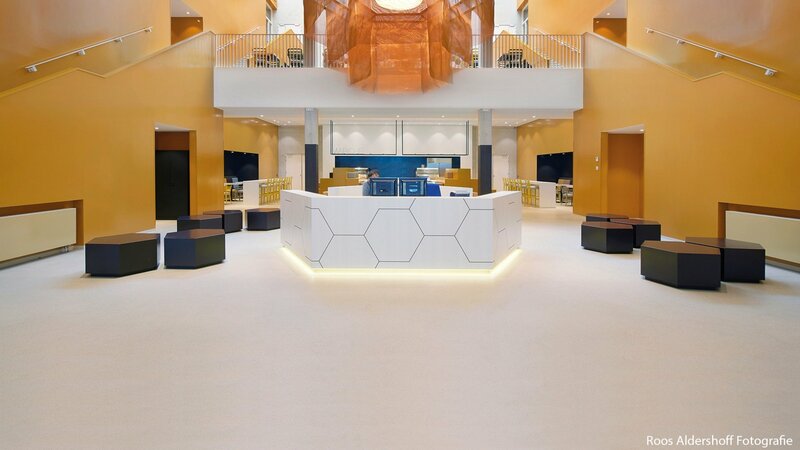 Architect Ector Hoogstad has also used this synthetic Bolidt floor finish before in other projects, such as the building for the Faculty of Applied Sciences on the Delft University of Technology campus and the Centre Court building on the Chemelot Campus in Geleen. 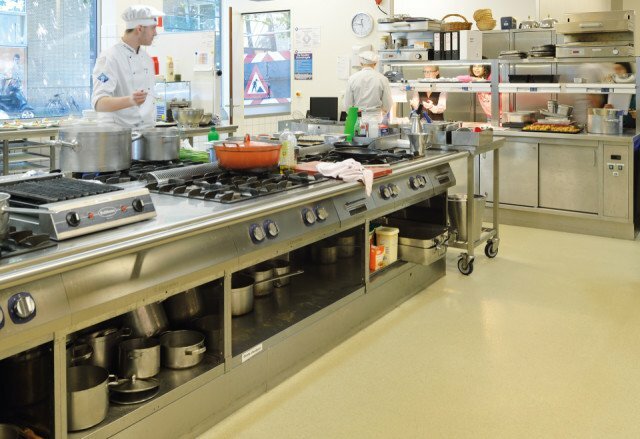 The Bolidtop® 700 College system has a smooth, pore-free surface, which ensures maximum hygiene – important for any educational institution, but particularly for a culinary vocational school. The pupils at Hubertus & Berkhoff learn from experience that maintaining a high standard of hygiene is a prerequisite when working in a kitchen or restaurant. The flooring in the school building helps to meets this requirement. 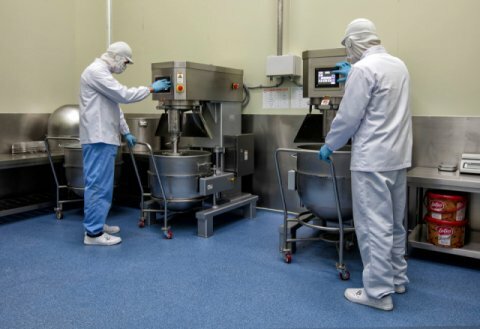 The surface of the flow applied flooring has no seams for dirt to collect in, so that any dirt, dust and spilled food will visibly lie on top of the floor. The surface of the Bolidtop® 700 College system can then be easily cleaned. In addition to good hygiene, safety is also important to Hubertus & Berkhoff; pupils need to be able to move around safely when they are baking and cooking. Some ingredients will inevitably fall onto the floor, which could cause the floor to become slippery. 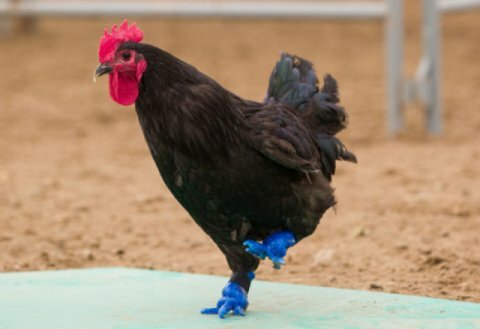 The Bolidtop® 700 College, however, has a non-slip surface to prevent slips and falls. Flooring in educational settings is walked on by thousands of feet every day. 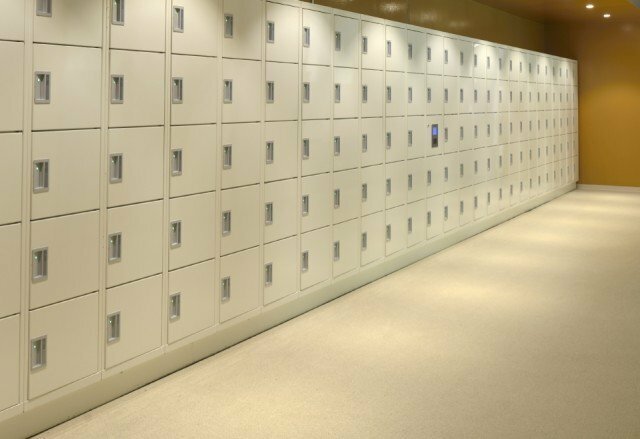 The Bolidtop® 700 College finish is designed to withstand heavy footfall. 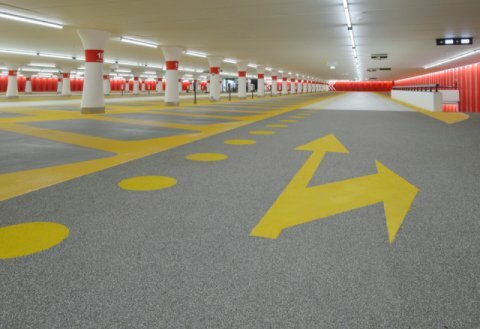 The system is extremely scratch and impact resistant and has a long life; the floor will easily last for 40 years. 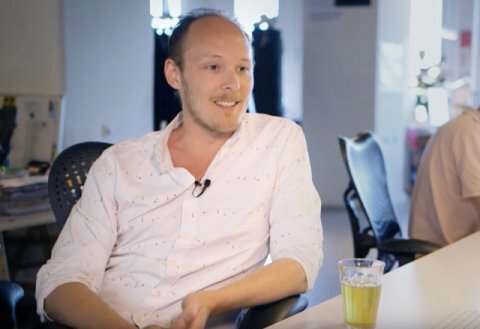 Basically, the system never needs to be replaced, so taken up: because of the permanent bond to the substrate, it can always serve as a suitable base for other finishes, if so desired. Additionally, the synthetic floor finish is very easy to maintain. Other than regular daily cleaning, no additional maintenance in the form of wax layers or polymers is required. 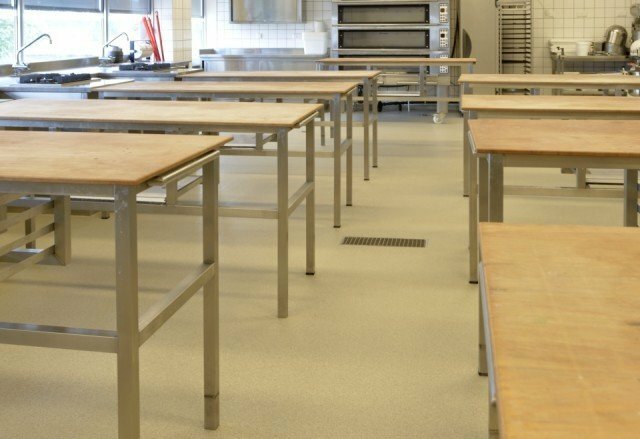 Bolidt even guarantees to educational institutions that the flooring will have no maintenance costs for an extended period of time. 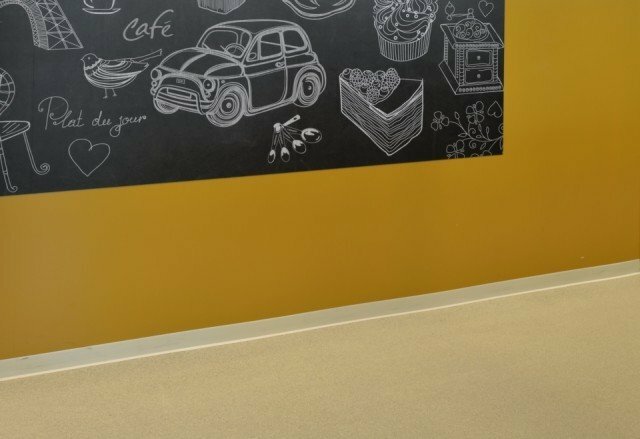 This huge saving makes the Bolidtop® 700 College system very appealing compared to more traditional floor finishes, such as linoleum, PVC and rubber that entail considerable (mostly annually) recurring maintenance costs for schools.